Home > Welcome to Gihosoft! Gihosoft is a professional provider of Android and iOS phone data recovery, data backup, data manager and transfer software. We’re young but our team is dedicated to provide worldwide Android and iOS device users with the best software to help our customers solve all kinds of data loss, data transfer, file backup etc problems happened in daily digital life. Since more sophisticated developers, designers and marketers joined us, our business is extending globally. We have more than 30 members including software development team, technical support team, marketing team, software UI and website designer team. Our members are sophisticated, responsible, enterprising. 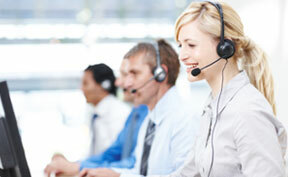 We’re working hard with the aim of providing global customers more professional programs and better technical support. We provide our clients with efficient yet expert service and support. Our technical support staff are always ready to answer your questions and solve any problem your encounter when using our software. We welcome any question or feedback, so please don’t hesitate to contact us(email: support#gihosoft.com, please replace ” # ” with ” @ ” ). Welcome to Gihosoft Support Center!